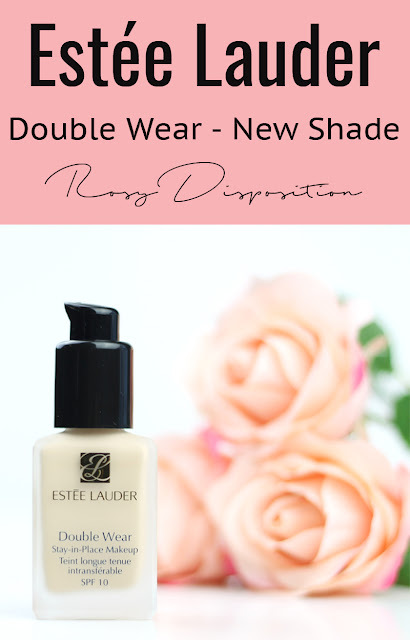 I don't know how I missed it earlier this year, but Estée Lauder just released a bunch of new shades of their cult favourite Double Wear Stay-in-Place Makeup Foundation ($54). I tried to get a colour match about a year ago but it was a no go with my crazy pale skin so I just gave up. Of course, when I heard there was a new lightest shade, 1C0 Shell, I rushed out to swatch it. I actually bought it immediately after determining it might be light enough, which is something I never do. I usually always try a sample first but I can definitely say the impulse purchase paid off with this one. Okay so for reference, my skin is very dry and dehydrated. 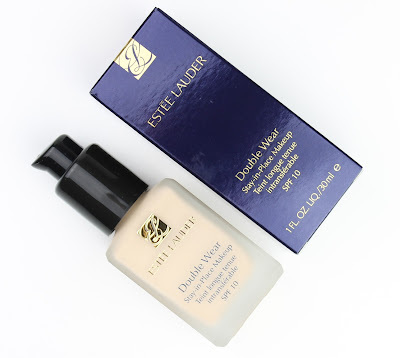 I never have issues with oil and I do usually prefer a dewy finish. 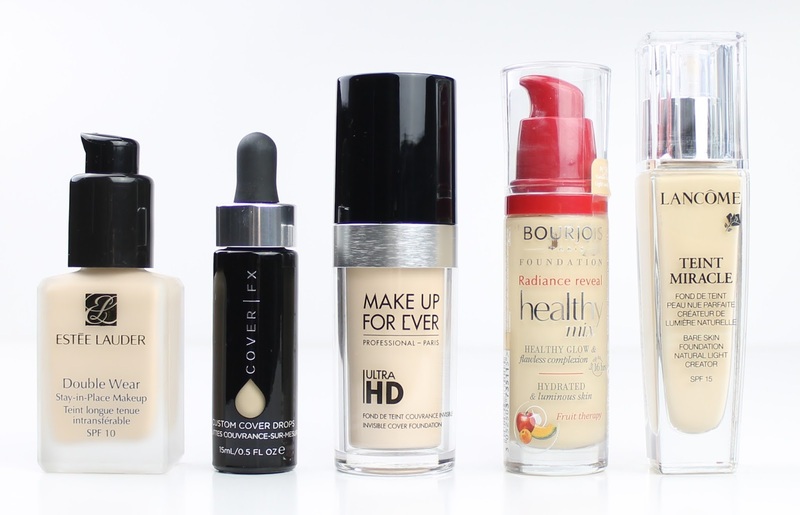 Despite that preference, I was in the market for a more full coverage foundation for something difference. I was actually pretty worried that this one wouldn't work on my dry skin but, when applied with a Beauty Blender, it looks lovely. It definitely has a more matte finish but if you skip powder or use a luminous powder like the MAC Mineralise Skin Finish Natural ($52) you can bump it to a more satin finish. Also, for the record, this foundation doesn't come with a pump which is quite annoying. I bought a MAC Foundation Pump ($10) separately, which fits perfectly. It definitely sets quickly so you have to work fast when applying but that is part of what makes it last all day long. I also found that when I went over my nose and forehead area after it set it actually removed the product. Therefore, the best way to apply it is quickly with a sponge, perhaps in sections depending on how quickly you work. A good hydrating moisturising like the Too Faced Hangover Primer ($46) and a drop of facial oil mixed into the foundation can help with a smoother application but usually I can't be bothered. Either way, I was able to get a really nice finish by just applying it straight from the pump, despite it being technically bad for my skin type on paper. In the pictures below, I have nothing on (left) and just foundation (right). You can see it really helps to even my skin tone out but when I apply it in a light application it still looks quite natural. I'm really happy with the way my makeup looks when I use this foundation. You can tell from the close up that it doesn't bunch up anywhere on my dry skin. I think things would be different if I tried to apply it with a brush, but a Beauty Blender is perfect. Granted, my skin is in pretty good shape right now thanks to my new skincare routine, but even still, it performs well on dry skin. Please ignore the fact that I forgot to apply lipsticks before taking this photo. Now let's talk shade. I got the shade 1C0 Shell which is a really quite light shade with undertones that are slightly pink. I wish it was a tiny bit more neutral and maybe a touch lighter but I can certainly make it work. I'm really happy that the expanded the range but anyone lighter than me would have an issue. 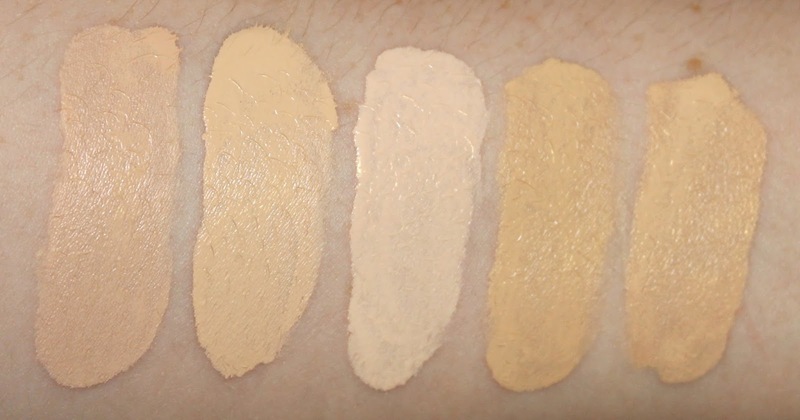 Below I have comparison swatches (left to right) for Estée Lauder Double Wear Stay-in-Place Makeup in 1C0 Shell, Cover FX Custom Cover Drops in N10, Make Up For Ever Ultra HD Invisible Cover Foundation in Y205, Bourjois Healthy Mix Foundation in 51 Light Vanilla and Lancôme Teint Miracle Bare Skin Foundation in 005. These are honestly the only foundations I have because I have such trouble getting a match but I am actively trying to expand my collection. So there you have my full review of the new lightest shade of the Estée Lauder Double Wear Foundation. I still think they could stand to have a lighter shade, perhaps with a yellower undertone but it is definitely a step in the right direction. I am always really happy when a brand actively tries to accommodate more skin tones, on both ends of the spectrum. 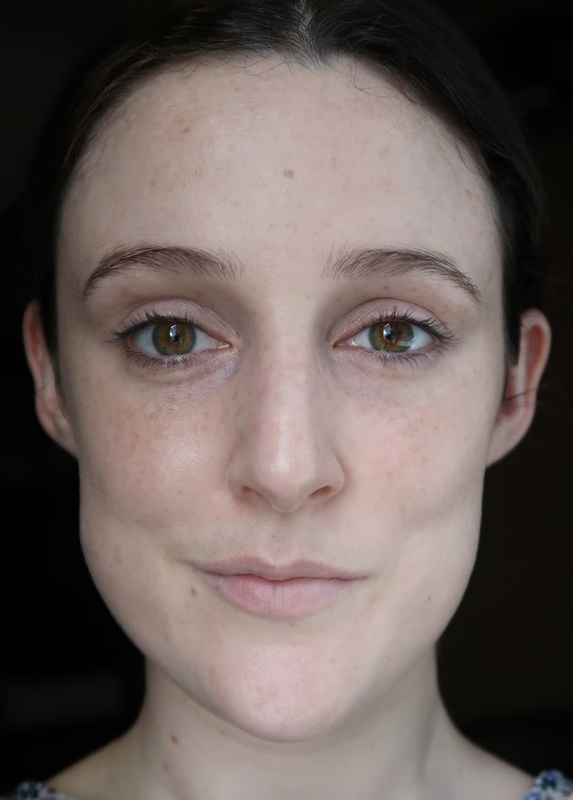 It works very well for me and I am so happy that I can finally use this cult favourite product. 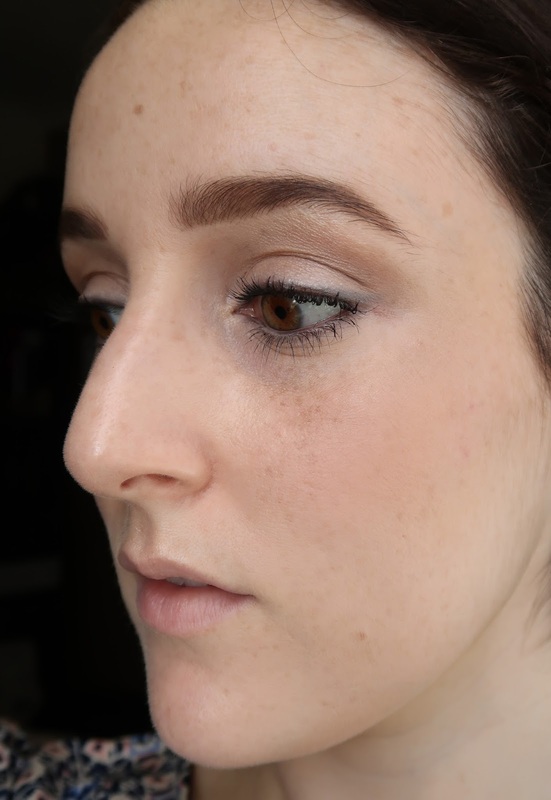 There are so many foundations out there that I can't use because I can't get a colour match but thankfully, this isn't one of them anymore. Long story short, I kind of love this foundation. 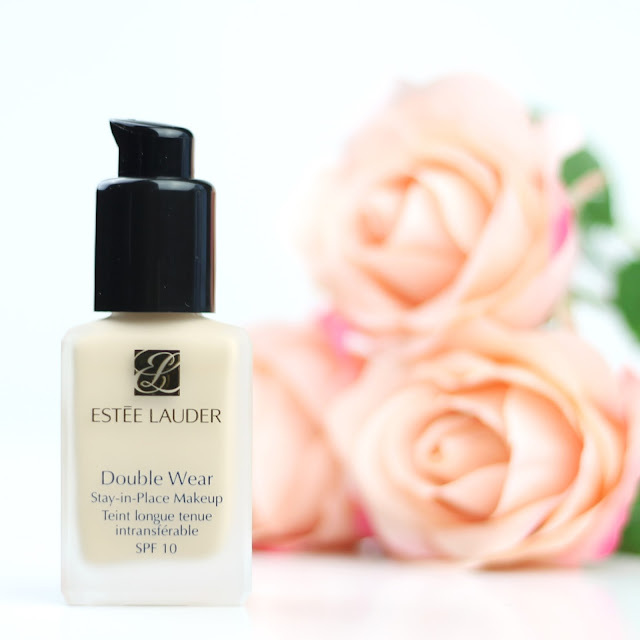 Have you already tried and loved the Estée Lauder Double Wear Foundation? Do you have similar problems finding a colour match? Let me know in the comments below. 8 comments on "Estée Lauder Double Wear Stay-in-Place Makeup"
I love double wear. That's so good they brought out a lighter shade. Your photos are always lovely. I remember years ago being hard sold their old lightest shade but I insisted on seeing it in the light to only find it was wayyy too dark for my skin tone. I have been looking for a swatch of Cover FX N10 everywhere. It's a shame though as it looks way too yellow for me and they don't do the pink light enough. Ugh the struggles of very fair pink skin.